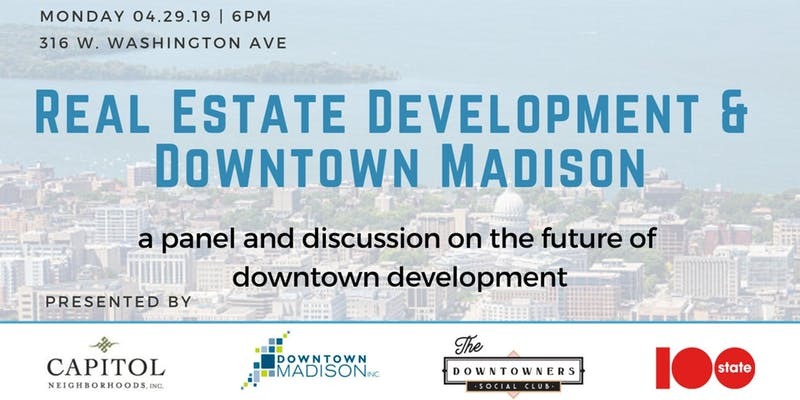 The event will begin at 6p on Monday, April 29th at 100state (located on the 6th floor of 316 W. Washington Ave) with a short introduction and panel featuring local commercial and residential developers. Following the panel will be breakout discussions covering different development-related interests and issues. Space is limited so make sure to reserve your spot here today!